Natalie Portman hugging in a scene a teddy bear from The Professional marked her film debut. She played the role of a 13-year-old as Mathilda, whose family was murdered. She did the role very well. It was amazingly emotional, realistic, humor, wrestling with sadness, and needed revenge. Henry Thomas as the child star was a force reckoned and his character portrayed a friendship of life-changing with E.T. Henry Thomas conveyed convincingly the value of protecting the first true friend. His performance earned him the Young Artist Award and a BAFTA and Golden Globe nomination, and lots more, respectively. Christian Bale a 12 year old starred in this WWII of 1987 as the only child, Jamie Graham of a rich British Shanghai couple who become the Japanese army prisoner. Jamie loses his innocence and wealth. Jamie fights with this situation and Bale relays the story with conviction and grace. Jodi Foster at age 14 proved to be an acting vet as he already appeared on many TV shows and had films ready. The true breakthrough was in Taxi Driver in 1976. A 12-year-old was a child prostitute and she gave her best performance. She earned her Oscar nomination and this was termed to be the greatest movies. Kirsten Dunst appeared in romantic horror film in 1994 along Brad Pitt, Tom Cruise, and Christian Slater. This 11 year old entered as vampire “daughter” Claudia. Dunst revealed no nerves on her breakthrough role. She gave an intense, morose, creepy and very mature performance that she earned Golden Globe nomination and garnered lots of acclaims as Best Supporting Actress. Abigail Breslin in 2006 acquired acclaim in this comedy drama and also earned an Oscar nod as Best Supporting Actress category. She was the young beauty pageant contestant. Her performance was widely credited and praised to a new level. 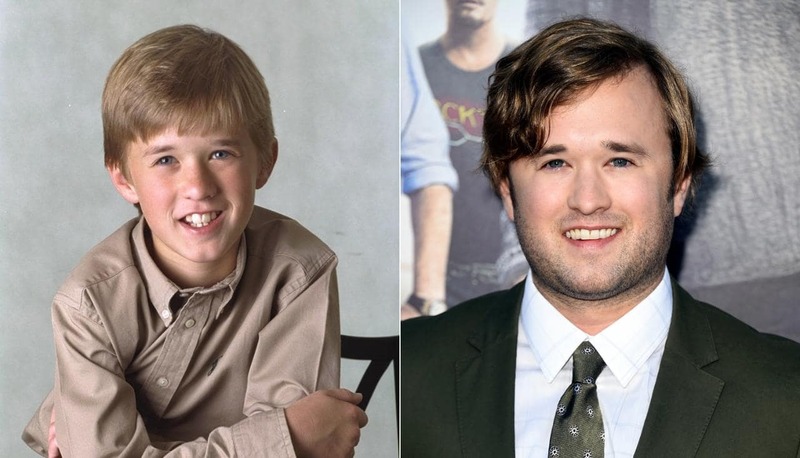 Haley Joel Osment soon became a name of every household as he appeared in The Sixth Sense movie, a 1999 thriller film and deliverd the well-known film phrases: I See dead people. This line in Osment’s hands was chilling. This young actor brought emotional range incredibly and it was well noticed that he bagged the Academy Award nomination for his role as Best Supporting Actor. Anna Paquin, in 1993 became the Oscar winner as he second youngest at age 11 in The Piano movie as the Best Supporting Actress. She played a girl, Flora, who negotiated on behalf of her silent mother to the world. In this role a young star portrayed her maturity beyond her age and also showed uninhibited playfulness of a child. Anna Paquin beautifully handled the strong performance and did a challenging role marking her beginning of an acclaimed career.